Heidi Boyd is a Texas Panhandle girl through and through. She grew up and graduated high school in Pampa, Texas. She attended Texas Tech University and South Plains College. 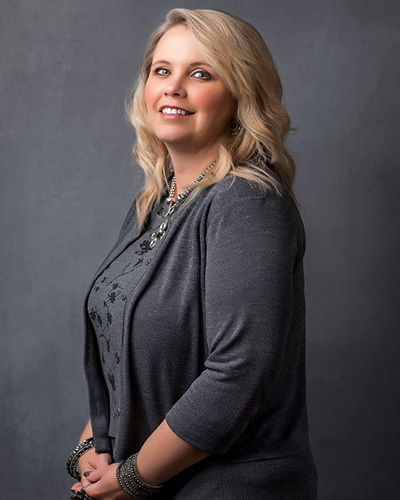 Upon returning to Amarillo, Texas, she was the youngest commercial real estate agent and property manager in the area at the age of 22. She managed and leased property all over the Texas Panhandle. She was heavily involved with both marketing and proposals for those properties. After staying home for a time to raise her three sons, she decided that she wanted to be her own boss and take care of people at the same time. Therefore, she became a massage therapist focusing on primarily injured clientele. Her entire practice was target specific. It grew to capacity and she had to close it to any new clients. The ones that she cared for were like family and she enjoyed every moment of making them feel well again. Heidi met Dean Boyd in 2011. They began dating in 2012 and married in 2013. Dean opened his own practice in March of 2014 and Heidi put her marketing skills from both real estate and her own massage business to work for the new firm. What started out at 11 employees has now grown to 29 in just 4 years. With such rapid growth, Heidi left her beloved massage practice and went to work full time by her husband’s side in the fall of 2015. She not only is the Marketing Director for Attorney Dean Boyd, but also the Human Resource Director and Case Flow Manager. The philosophy that she stands by for the practice is that the client ALWAYS comes first. Nothing else matters more than the client’s satisfaction and the firm caring for their needs. She also has a passion to provide the very best work environment that she can for the employees that so diligently work on those client’s cases.